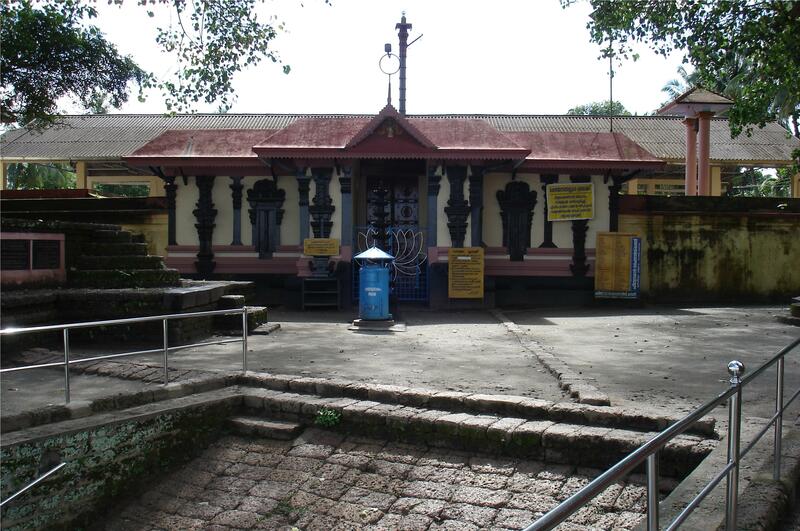 This Indian temple is dedicated to Shiva, one of several Shiva temples in India. 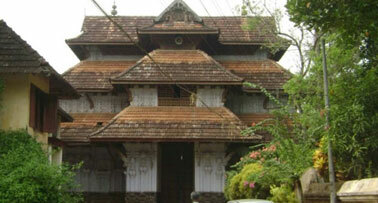 It is considered the oldest Hindu temple in Kerala. 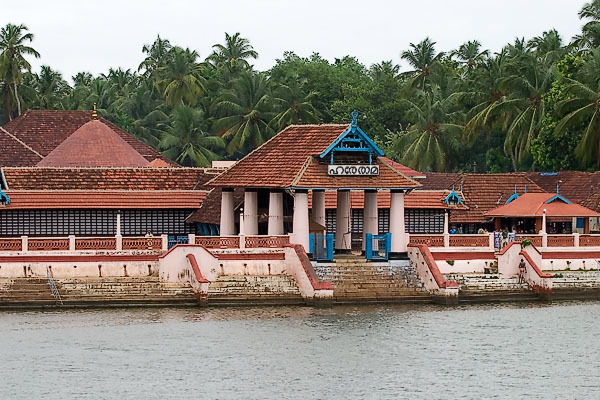 The temple legend states that once Lord Parameshwara/Shiva created a deer named Harina and also made an island in the sea called Harinadweep. 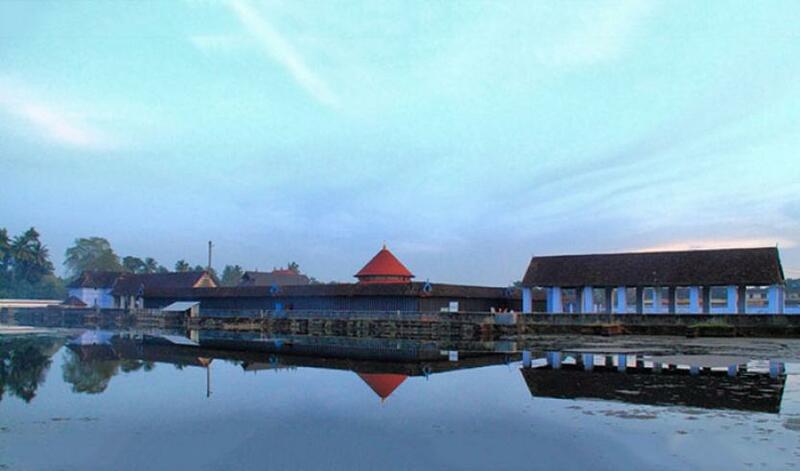 When Parasurama created Kerala from the sea, this island also became part of the newly created land of Kerala. 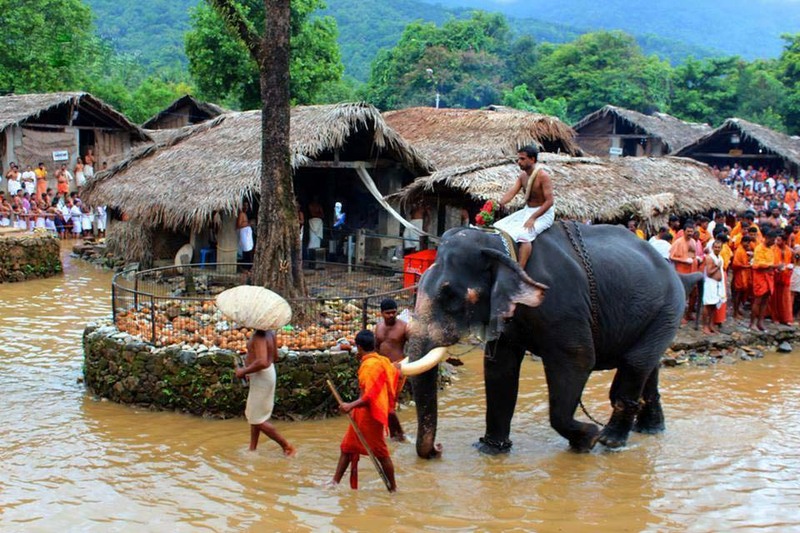 The original island came to be called Harinapura. 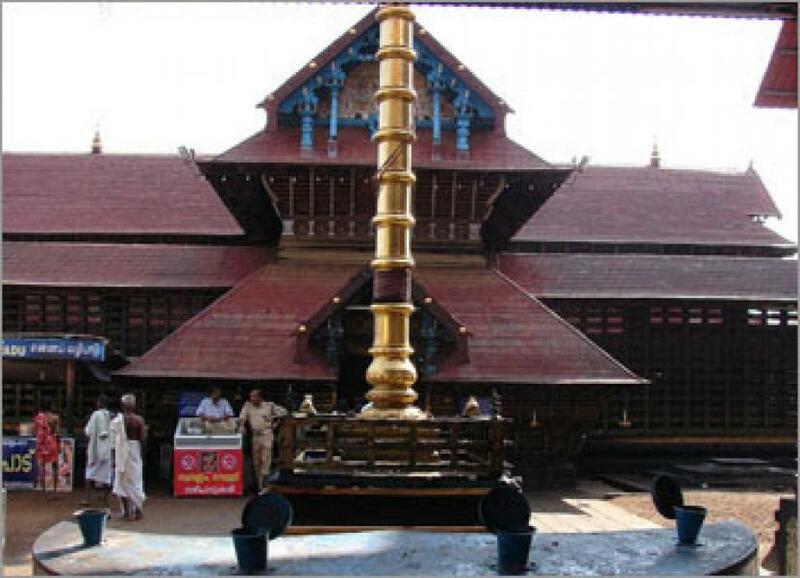 Pingala received divine knowledge from Kharasura. 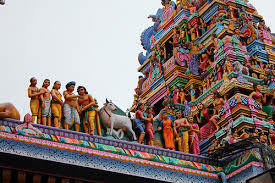 After the student’s education was completed, when the time came to seek gurudakshina, seeing that Pingala was penniless, Kharasura said that he did not seek anything from his disciple. Pingala was ashamed to hear this and with wounded pride insisted that his guru ask him for something. Pingala’s persistence became unbearable to the point that, in a fit of anger, Kharasura asked for 180 billion gold pieces. Hearing this, the disciple was speechless, stunned and heart-broken. Seeing Pingala’s anguish, the guru’s heart was filled with pity and compassion. He promised to help his pupil. 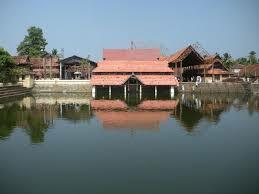 They travelled to Harinadweep and performed intense penance to Hari (Vishnu) and Hara (Shiva). Lord Vishnu appeared first and asked what boon they were seeking. Pingala asked for and received 180 billion gold pieces. He promptly offered them to his guru. 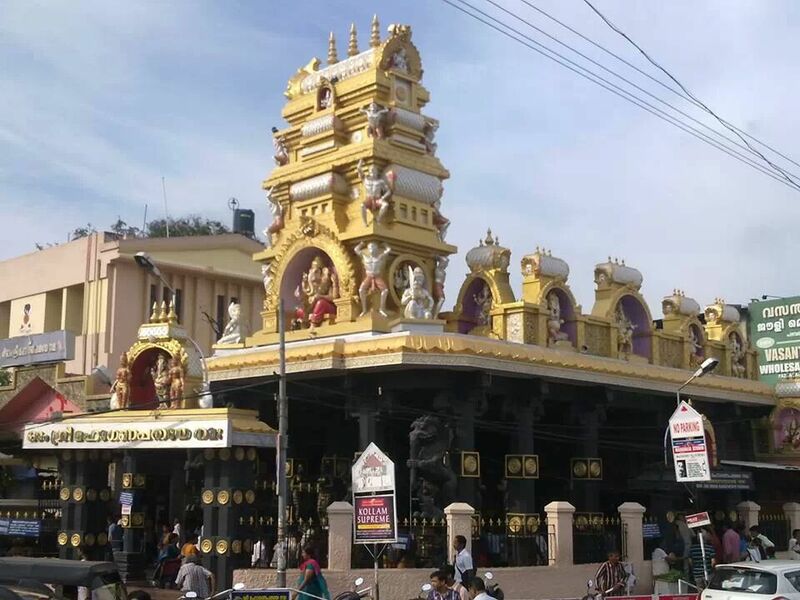 Shiva appeared next and Kharasura performed abhisheka to Lord Shiva using all the gold he had received.Lord Shiva, pleased with the maharshi’s devotion offered the same amount of gold to him. 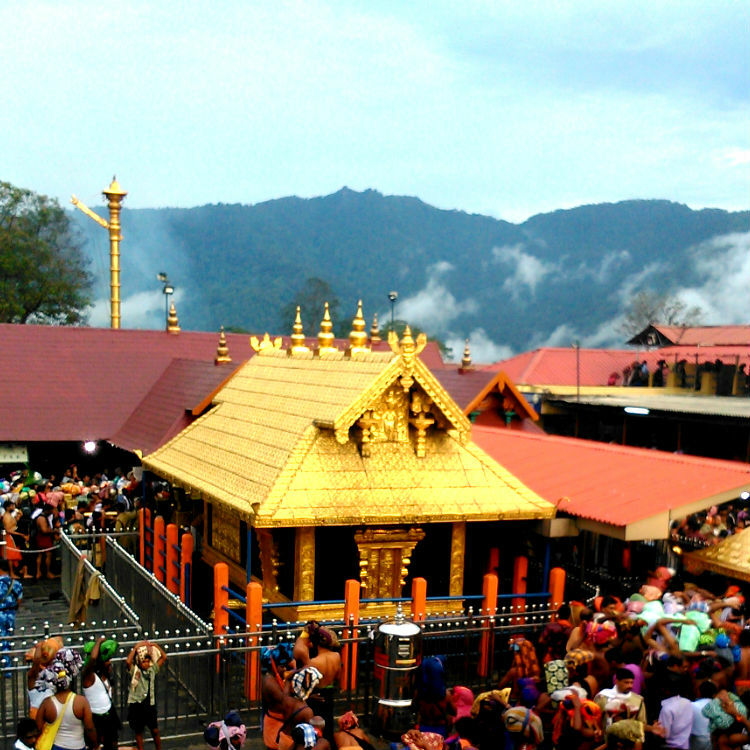 Kharasura used the gold to perform abhisheka to Vishnu. 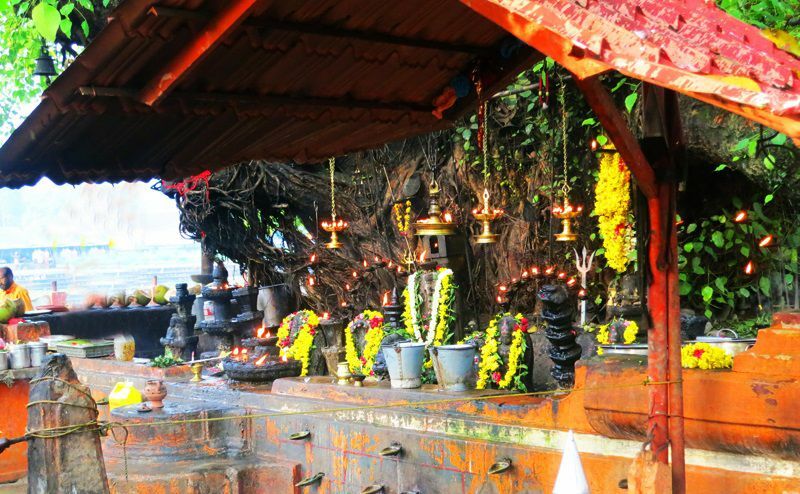 Lord Shiva also presented him with three divine and precious Lingas. At this time, Pingala left having fulfilled his duty. 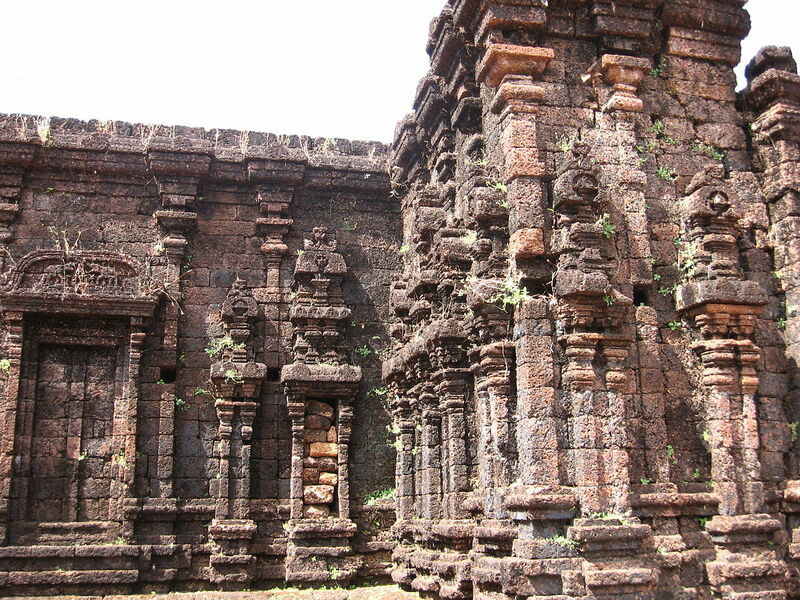 Kharasura consecrated a Shiva Linga with his left hand at Harinapura. Time passed and the original Shivalinga was buried in the dirt. One day, a Harijan lady called Mannathi, while digging for edible roots with her sickle struck the buried Linga. Seeing blood ooze from the stone, she panicked and threw away her sickle and basket. 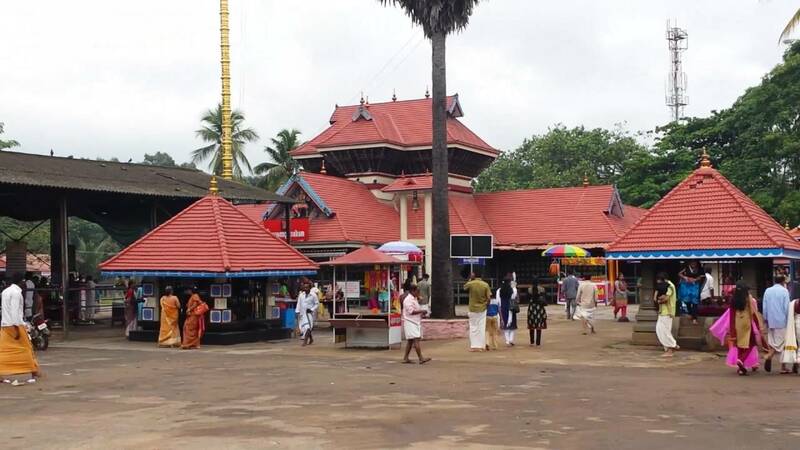 The sickle fell at a place currently called Kovilpaadam. 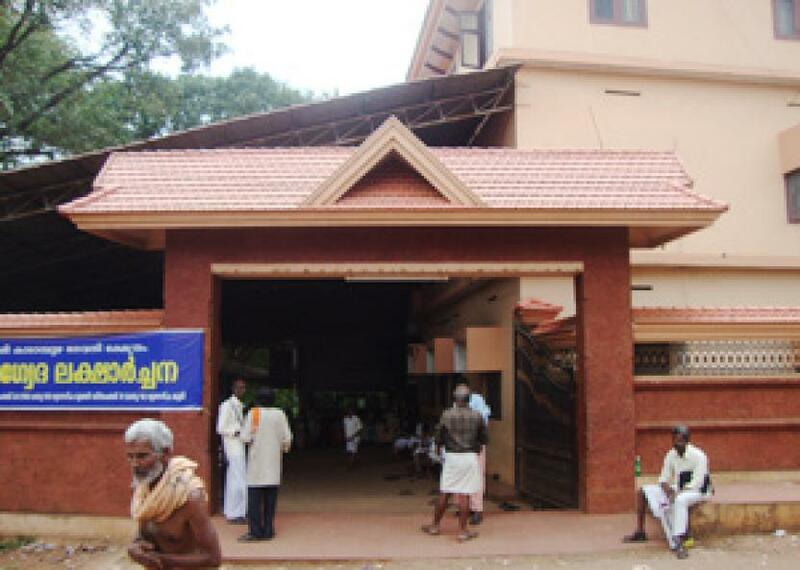 Her basket fell at present-day Pattithanam near Ettumanoor. 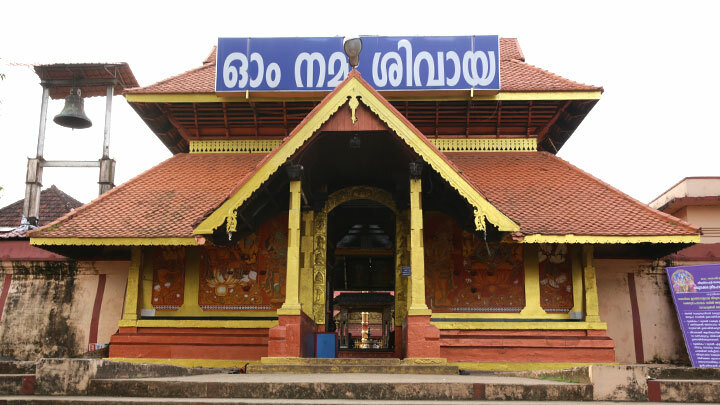 Shiva arose from the linga in anger and cursed her to become a rock (Mannathikkallu), which can still be seen near Kattampak Kottaram Devi temple. 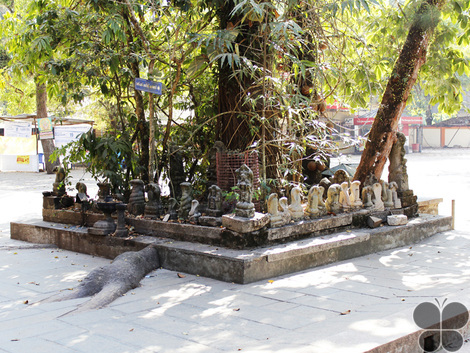 A conch arose from the earth next to where Shiva appeared. These two areas can still be seen as depressions (Devan piranna kuzhi, Shankhu piranna kuzhi). Later, the Shiva Linga was brought to its current location. 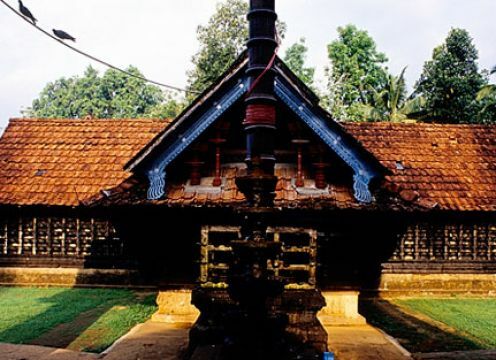 The linga still shows the ancient groove made by the sickle. Every morning, after abhishek, this crack is sealed with sandalwood paste. 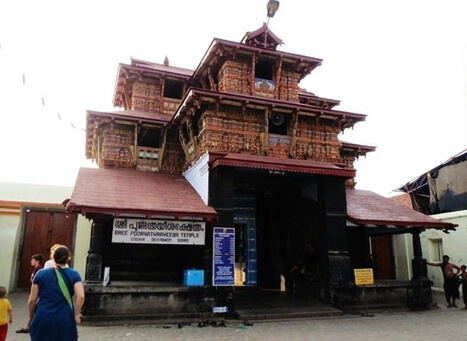 Another story goes thus - Once Veda Vyasa Lomaharshana came to this Hindu temple to offer his prayers to Mahadeva/Shiva. 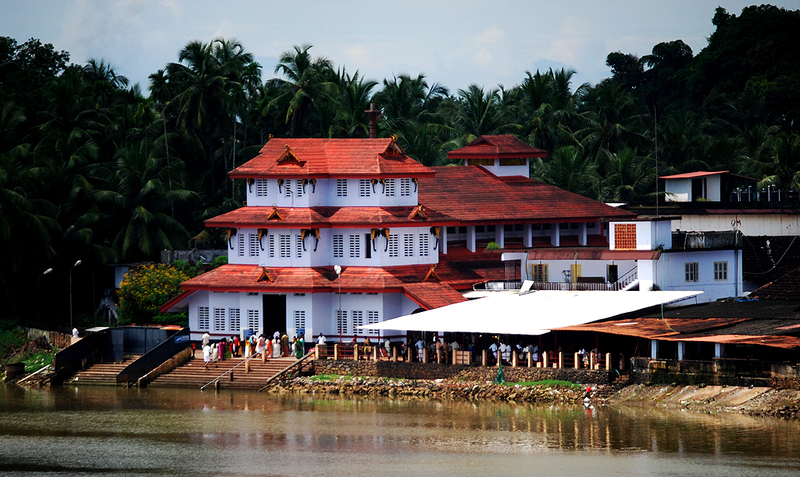 While walking to take a dip at the temple tank, he slipped and fell. Some of the locals saw him fall and laughed mockingly. The enraged sage cursed that Harinapura would turn into an uninhabitable jungle for a thousand years. 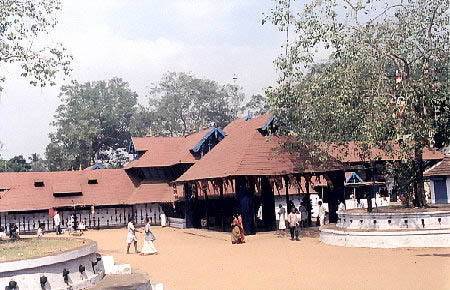 So it lay without any human activity, unnoticed and abandoned, until the famous Vilwamangalathu Swamiyar happened to pass near this place. 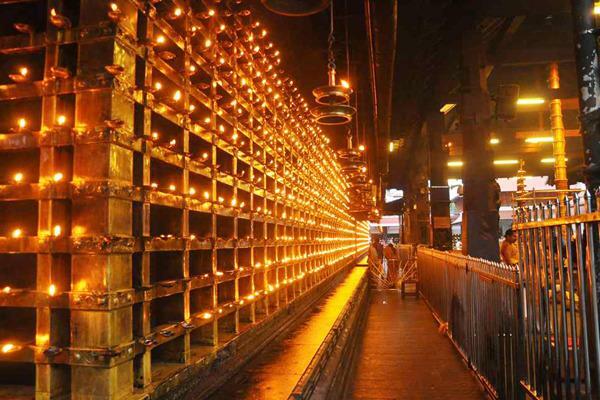 Thanks to his divine vision, he sensed the whole area was covered with Shiva’s matted hair (Jadaabharam). 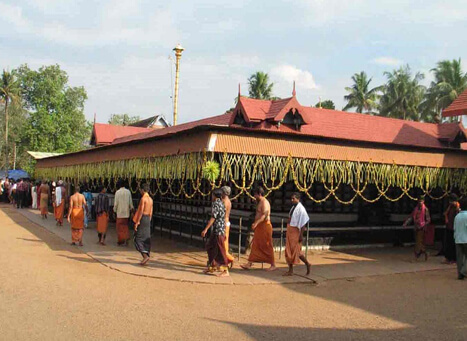 After that the temple was reconstructed. 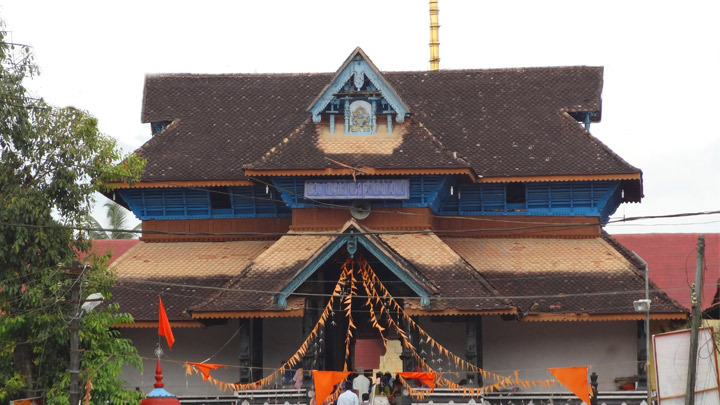 After India’s independence and the establishment of the state of Kerala, this Hindu temple is controlled by the state government through the Devaswom board.